Hifi ubiquity Denon has entered the multiroom streaming scene that Logitech so abruptly left last year. While not the only Sonos alternative around, the Heos is certainly the most affordable and Denon sufficiently household to actually pose a serious competitor of Sonos. 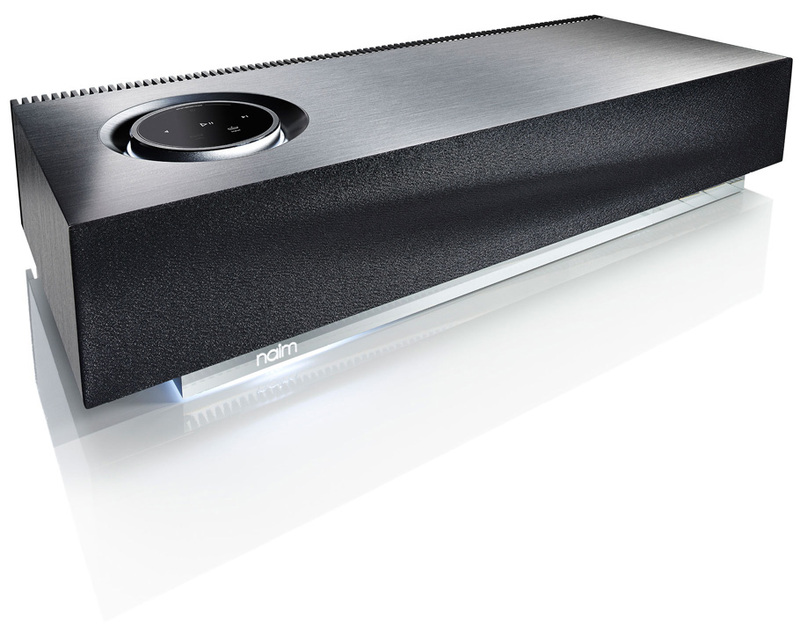 The Heos system consists of a three self-contained speakers not unlike the Play components from Sonos. At the moment there are no reception-only units á la Sonos Connect but given Denon’s serious line-up of hifi-equipment, it would be surprising if they didn’t add a receiver to the system. There is a Heos Amp that can feed a self supplied set of speakers with 2x100w akin to the Sonos Connect:Amp. Everything is controlled by an app for Android or iOS. None for Windows Phone, alas. The Heos system operates on traditional wifi and/or ethernet connections and does not require a bridge, thus also does not ruggedise its streaming by way of a grid such as Sonos. Supported file formats ranges the usual except high resolution audio and certain levels of DRM. Files can be fetched from network sources or from directly attached media such as USB sticks and optical or analogue inputs and from there shared across the Heos system. Already announced, according to Recordere.dk, are extra speakers, a subwoofer and a soundbar. Norwegian high-end dominatrices Electrocompaniet, have entered the stage and now offer digital purity for the discriminating audiophile. The ECM2 is a no-frills streamer that plays from a multitude of sources, from low-fi internet services to hi-res digital masters on your network. What stands this device apart in the world of inch-thick aluminium fronts, is the EMC2’s ability to stream video in HD. And not just that; it does it in 24bit/192KHz! Take a bite at that! Digital attenuation allows you to stick it straight into the power amp and lets you sit in the couch and do you business straight from a phone of your choice [if it runs iOS or Android, that is] or from a DLNA controller. Canadian newcomers (and to some extent, former NAD dudes) Bluesound are going abroad with their jazzy looking 24-bit audio streaming system. A few weeks ago they appeared in Hifiklubben in Sweden and now they are available in Denmark as well. The system includes an optional server, ever so aptly named Vault, which can rip CDs in numerous formats, store them and stream them to the Bluesound players as well as act as a player itself. The satellite players come in three flavors: Node, Powernode and Pulse. The Node is a streaming client with analogue and digital outputs, natively supporting up to 192KHz sampling rates. The Powernode is akin to the Node adding a 90W class D amplifier to free it from a hifi system. The Pulse is a completely self contained system with 80W amp and speakers. In other words, a system not unlike the Sonos family; except in 24-bit resolution. Control is done from a desktop computer or from the now ubiquitous smartphone or tablet. Presently only iOS and Android is supported. Unlike Sonos, the Bluesound devices can access files from USB devices. It is unclear if each device can stream these auxiliary inputs autonomously, though. Last year audiophile Fang Bian released a first shot at a true high-fidelity portable audio player (we can’t go around calling it an MP3 player now, can we – let alone a walkman!?) with a slightly bulky exterior boasting some really impressive specs. It even had a detachable amplifier section. Now he has gone and done it again, releasing a somewhat smaller but definitely not less impressively spec’d player. The HM-602 uses a Philips TDA-1543 dual DAC to support 24bit/96KHz Flac files as well as Ogg Vorbis. When you are not out there jogging in a crystal clear soundscape, the HM-602 can be used as a USB DAC feeding off of your computer stocked music. It may not run Angry Birds or remote control your garden sprinkler, but at a price somewhat lower than your average iPod, this is quite an interesting piece of hi-fi equipment that does one thing and one thing only: Deliver sound. Marantz for me always stood for good old conservative ways and champagne colored aluminium bezels. Never as a technology frontloader. Perhaps that is the reason why they had me on this one. I didn’t see it coming. Last year Marantz released the NA7004, which by a quick glance looks like any other Marantz component. But it ain’t! Under the hood lurks a three piece DAC, audio streaming and that all too rare Flac support. The NA7004 will discover DLNA compatible servers and play your music as the audio gods intended. It interconnects with other Marantz components and boasts a well laid out front. And HD? Well, it goes aaaalll the way pal.